Stussy x Nike team up for an exclusive Zoom Blazer Mid. Stussy has teamed up with Nike SB for a brand new Zoom Blazer Mid. The two brands partnered numerous times during the 2000s, including SBs and Air Maxes, but it's been a while since we've seen them link on the Blazer Mid. As seen through the instagram story of Tremaine Emory aka @denimtears, the upcoming collab features a fuzzy, hand-painted leopard themed upper accompanied by a black swoosh and laces. Additional details include a white midsole and Stussy branding on the tongue and heel tab. According to Emory, the kicks he revealed on instagram are a 1-of-48 that was hand-painted by skateboard legend Lance Mountain. 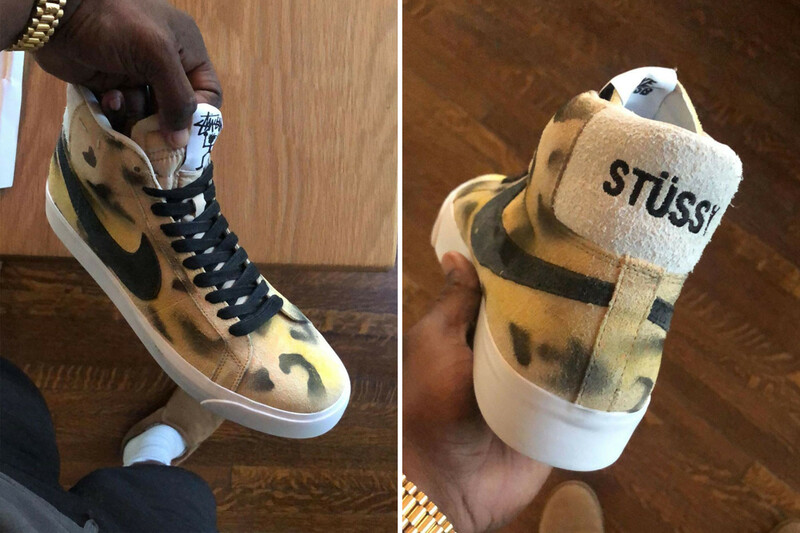 That said, there's a belief that a similar Stussy x Nike SB Zoom Blazer Mid, minus the hand-painted detailing, will be headed to retailers in the near future.